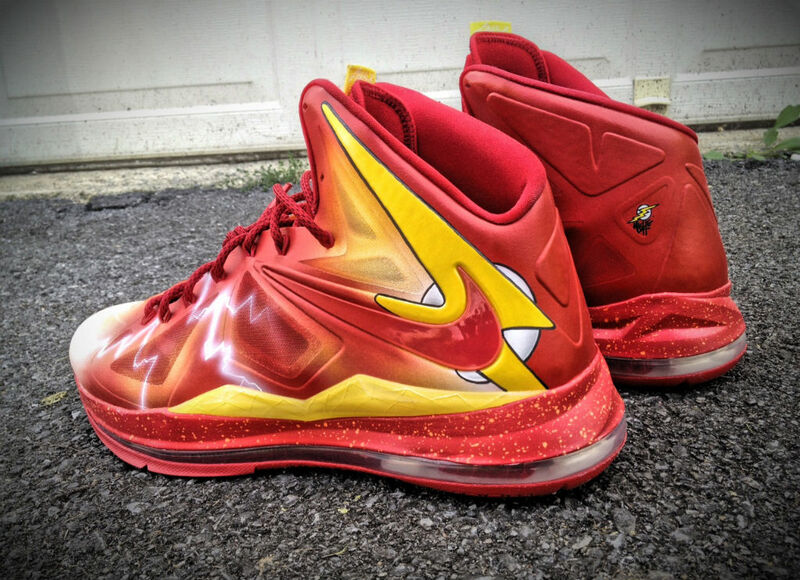 Mache unveils his latest pair of superhero-themed customs — the Nike LeBron X styled in the colors of The Flash. 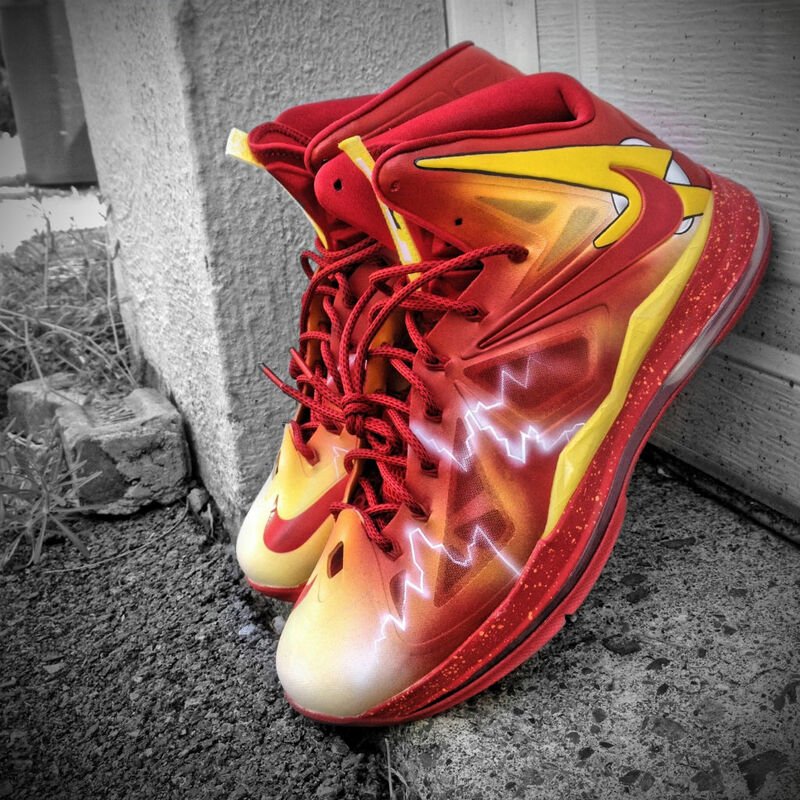 The shoe sports a red and yellow upper with bolt graphics in white and The Flash logo added near the Swoosh. 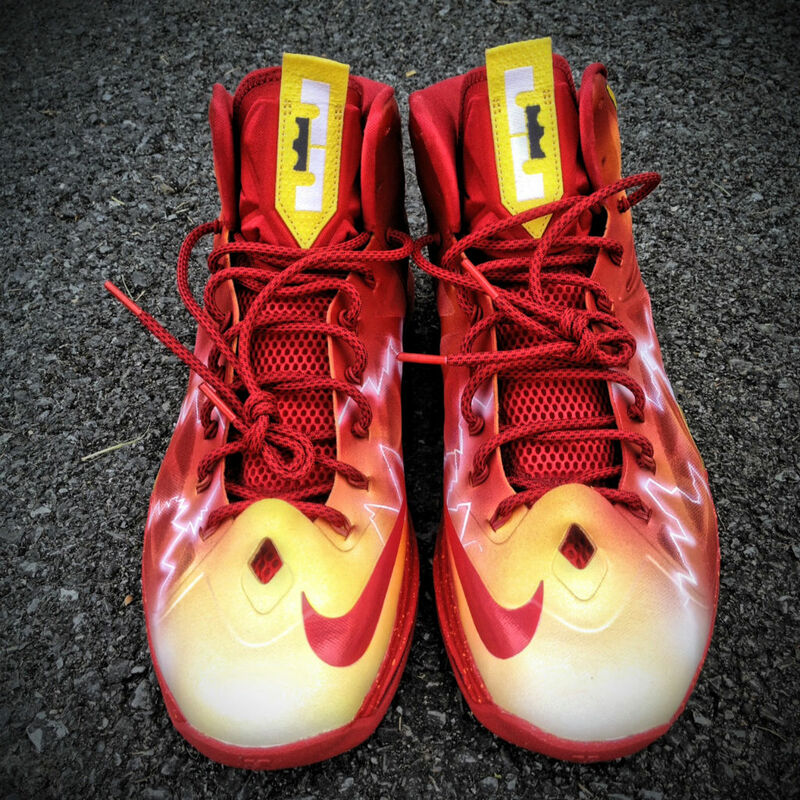 Additional Flash logos adorn the medial heel tabs, while a speckled midsole and red sole finish off the look below. These customs were made for New Orleans Hornets rookie Darius Miller. Let us know what you think about the project and follow @MACHE275 on Twitter for future updates.